Apple’s Live Photos feature, introduced with the launch of the iPhone 6S a few months back, is now gaining ground thanks to a push from social networks. Following Tumblr’s integration of the feature earlier this month, an even bigger service now allow you to share Live Photos — namely Facebook. It comes as a huge boost for Apple’s Live Photos tool, which may have otherwise gone ignored as a mere gimmick tacked on to another new iPhone. Rest assured, the Apple-exclusive feature is worth your time and, if nothing else, will make your images stand out from the crowd on Facebook. Live Photos capture movement and sound for a brief moment before and after an image is taken (1.5 seconds to be precise). Although they are animated, Apple does not refer to them as videos and your iPhone 6S and 6S Plus save them as photos. 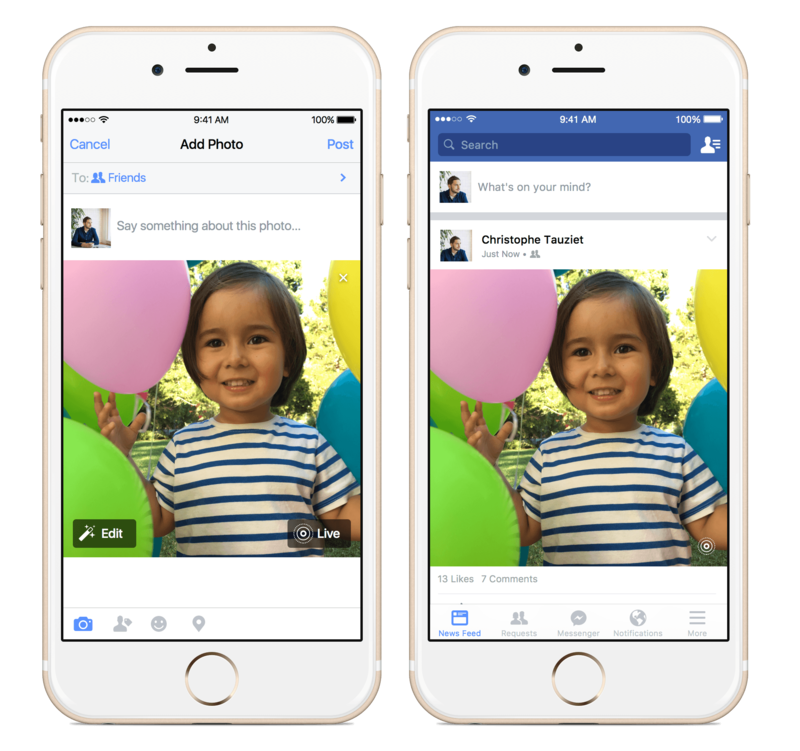 Uploading Live Photos on Facebook is now as easy as tapping a button. With today’s update to the Facebook iOS app, users will be given the option to select a Live Photos option when uploading images. Once uploaded, Live Photos will appear static in feeds. Viewers can watch the images by pressing and holding the playback button, a concentric circle, located on the bottom right of each photo. Although only iPhone 6S and 6S Plus users can currently take Live Photos, Facebook allows any device running iOS 9 to view them — meaning the iPhone 4S and beyond. Despite an update having rolled out this morning, only some Facebook users have stated that they are able to view Live Photos. Therefore, it seems the feature is still in its test phase, and many users may not be able to see Live Photos on their timelines until next year, reports TechCrunch. In our online era of recycled GIFs and memes, Live Photos allow you to bring a touch of realism to the party. However, taking original images that actually utilize the feature is the hard part. Many Live Photos end up looking like normal images, as capturing movement can be tricky. Practice makes perfect, and you’ll know when you’ve nailed it. Now with Facebook integration, you’ll have the chance to show off your Live Photos skills like never before.